This discontinued duplexing all in one device from Brother is now available so inexpensively that it has become one of the best values in multifunctional printing available, if one can get their hands on a unit. 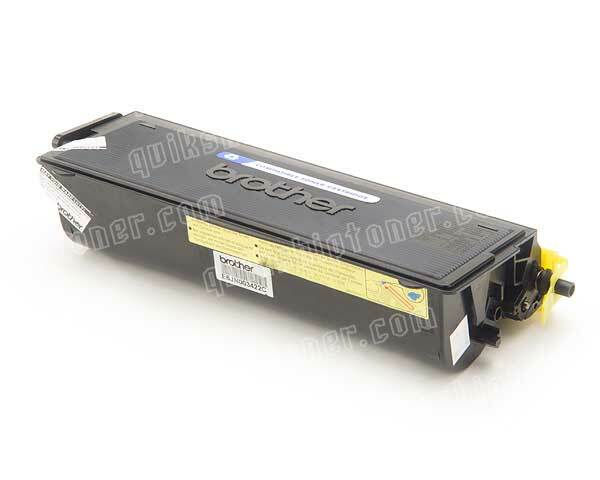 This black and white laser MFC has all the basic features one could ask for in a small office device, and excels in certain areas such as print resolution. With duplex printing available at such a low cost, the Brother MFC-8640D is already an eye catcher. With duplex printing, users can automatically print, or copy, to both sides of a single page which adds a professional look to certain document sets, such as bound material, and, more importantly, reduces paper usage by as much as half. This allows for a great reduction in cost per page, as well as an extension of the paper refill cycle to almost double. Maximum print resolution is selectable up to 2400 x 600 dots per inch, which is about as good as it gets for a unit in this category. Print speed is also fairly respectable when all things are considered and tops out at a maximum of 21 pages per minute. 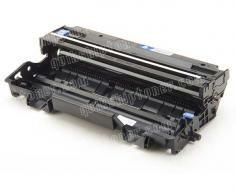 Print, copy, scan, and fax functions are all present in this device, though no network card is included. Faxing is made possible by a Super G3 33.6 Kbps fax modem that can transmit at the excellent rate of 2 seconds per page. 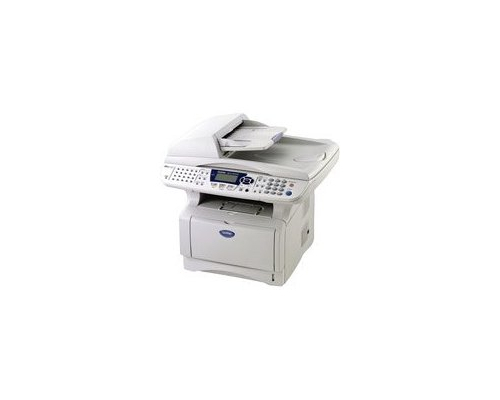 The full range of fax features include out of paper reception, and external TAD interface for connecting a handset, caller ID, call waiting, distinctive ring detection, and all the other features that Brother offers when it comes to fax machines. Black and white copying can be done with reduction and enlargement ratios of 25 – 400%, which allows for both a 2 in 1 and a 4 in 1 option. The built in 50 page automatic document feeder is great for loading up large stacks of input to be copied, faxed, or scanned with almost no user intervention. A standard 250 sheet paper tray and a 50 sheet multi purpose tray make up the basic paper storage elements of the Brother MFC-8640D, while an additional 250 sheet tray can be added to increase the unit’s total storage capacity up to 550 sheets. With so many incorporated features, the Brother MFC-8640D is, more or less, everything one could want in a personal MFC. Standard memory is a little small in this device as Brother has only included 16 MBs of it. They do allow for memory expansion, however, via a single 100 pin DIMM slot. Other than that, there is only the problems that inherently come with owning a discontinued printer to worry about, such as diminishing technical support. Review it: "Brother MFC-8640D "
Another great plus that comes with owning this unit is the inexpensive toner costs. The Brother MFC-8640D currently has 6,500 page yield cartridges available from third party vendors that have very low price tags, while the drum units for the machine carry a respectable 20,000 page yield at 5% coverage.